With a productive 2017 season, Vea could cash in as a potential top-10 pick in the NFL draft next year. The reinvention of Vita Vea began over lunch at The RAM Restaurant at University Village. It was one afternoon in early January, about a week before the deadline for underclassmen to declare for the NFL draft. Vea ordered a burger. His position coach, Ikaika Malloe, ordered the same. 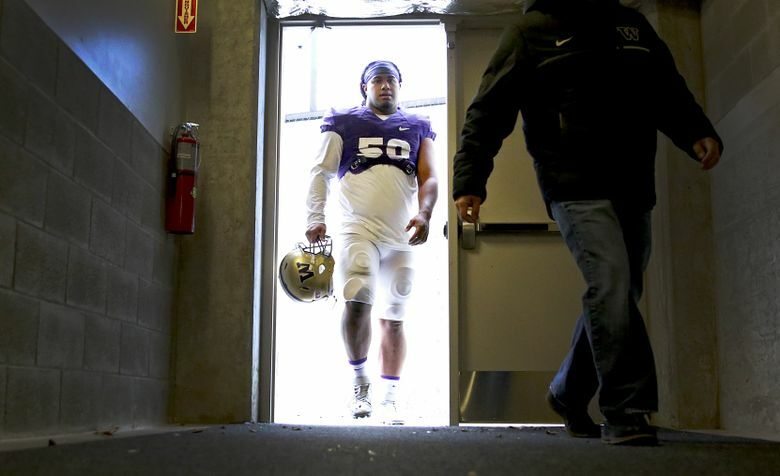 Malloe had set up the lunch to talk about the future — the short- and long-term future — of one of the strongest, most athletic defensive linemen to ever play for the Washington Huskies. The question of Vea’s immediate future was the most pressing one: Was he going to enter the NFL draft this year? At that point, Vea’s decision wasn’t entirely clear. He had been telling folks in the program that he was strongly considering turning pro, along with four other UW underclassmen — John Ross III, Budda Baker, Sidney Jones and Elijah Qualls — who had already declared for the draft. Malloe wanted Vea to make an informed decision, wanted to give him and his family as much help as possible toward that goal. Malloe had reached out to an NFL scout friend for some guidance and came to the restaurant armed with figures — massive figures to match what many have long seen as Vea’s vast potential. Should he go pro now, Vea was generally projected as a second-round pick. If, for example, Vea were to be selected with the first pick of the second round, he could expect to make a little more than $7 million over the life of a four-year rookie contract, with a signing bonus of about $3.2 million, according to the NFL rookie salary structure. Pretty good, right? 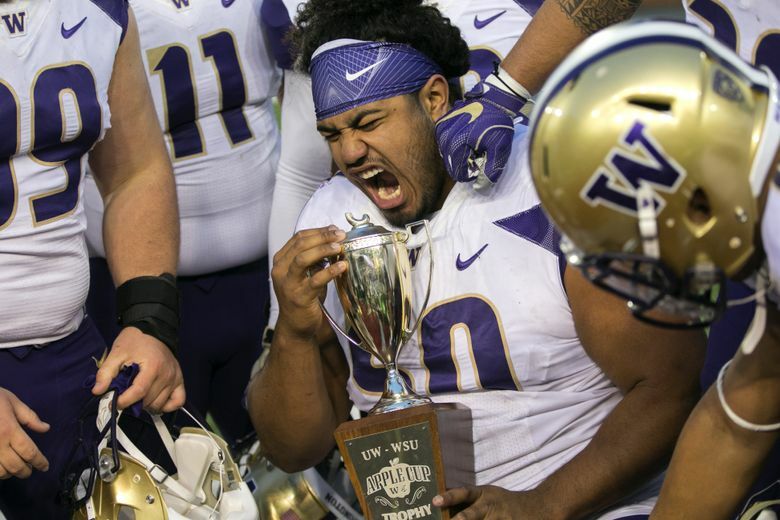 But here’s what really got Vea’s attention, the tipping point in his decision to return to Washington for his redshirt junior season this fall. If he puts together the kind of season Malloe believes he can, Vea could have a chance to vault into the top 10 of the 2018 NFL draft. Even in the NFL, it’s rare to find a 346-pound defensive lineman who runs a 4.8-second 40-yard dash — a guy with “unlimited, untapped potential,” as UW defensive coordinator Pete Kwiatkowski sees in Vea. A guy who, sooner of later, belongs in the NFL. 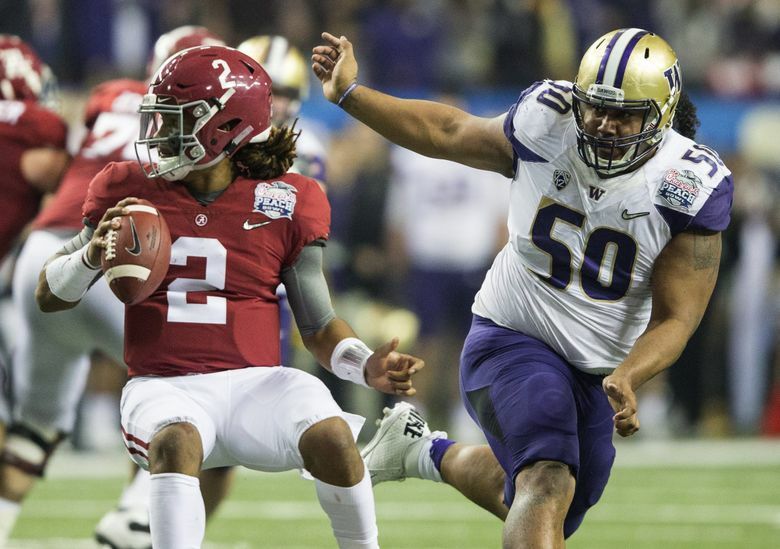 To give Vea an example of how his future could unfold, Malloe laid out the path of Alabama defensive lineman Jonathan Allen. A year ago, NFL evaluators pegged Allen as a second-round pick. Allen opted to stay at Alabama for his senior season, went on to become the most decorated defensive player in college football last fall, and is now a projected top-five pick in next week’s draft. The No. 5 pick in the draft is projected to get a rookie contract worth $25 million with a $16.5 million signing bonus. Really good, right? Whether it was school or football, Vea never really took things all that seriously. 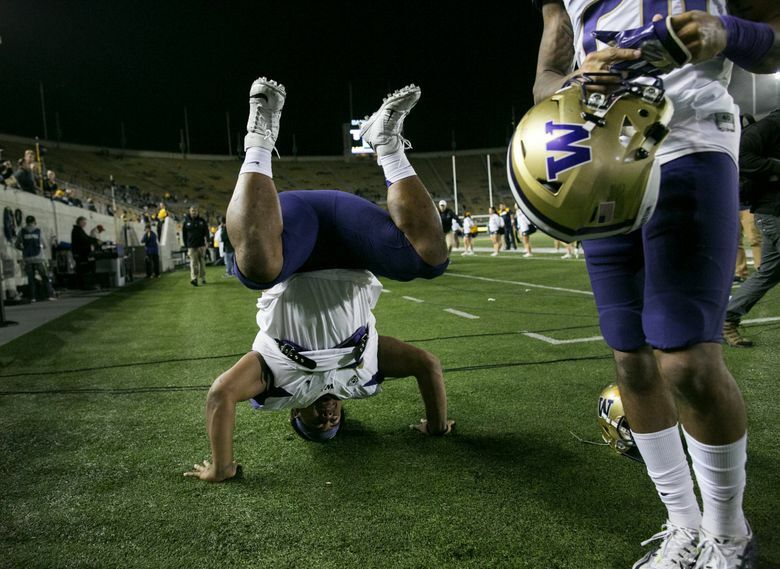 Coming out of Milpitas (Calif.) High School, he didn’t qualify academically at UW. A four-year varsity player at Milpitas, he was a 260-pound Wildcat quarterback as a freshman; he also played running back throughout his prep career, in addition to his defensive duties. But after his senior year, he spent a season away from football, needing to complete several online courses to gain admittance into UW. He did, and his academic standing has improved at UW. 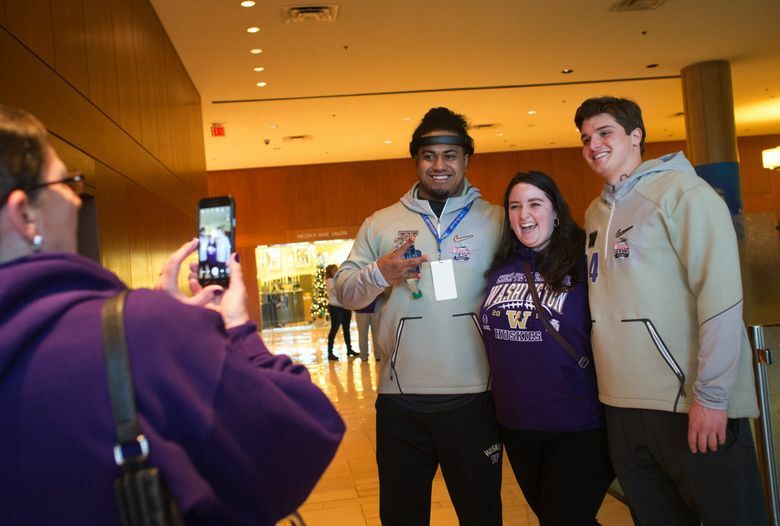 An anthropology major, he had a 3.10 grade-point average last fall, and making the team’s 3.0 GPA Board — showcased prominently in the lobby of the Huskies’ football offices — was a big goal for him. He’s matured as a player and teammate, too. Before, he was often the first to crack a joke to disrupt a meeting in a defensive-line room. Now, he wants to set a positive example, to be the guy teammates turn to for answers. Twice a week this offseason, Vea has been meeting with Malloe in the coach’s office to study film. Vea knows he needs to be a better student of the game, and he says he’s motivated to do so. He’s motivated to change, to be better. Like a bull seeing red, Vea tore through the entire right side of UW’s first-team offensive line and finished with a touch sack of quarterback Jake Browning during Monday’s practice. 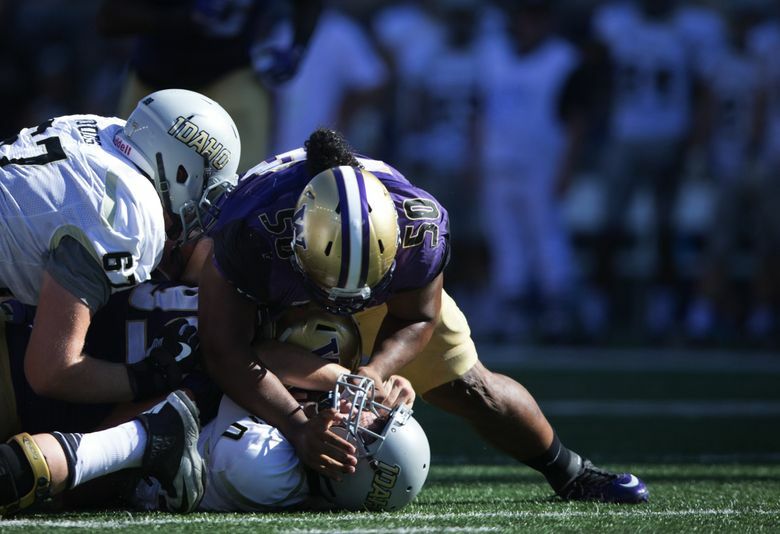 As the biggest and the strongest player on the Huskies’ roster, Vea usually gets to where he needs to on the field, even if he’s not always attentive to his assignment on a particular play. It’s those breakdowns, those details, that coaches continue to harp on him. Malloe sees progress, on the field and in the meeting room. “Having that maturity level to go to the next level — where it’s a dog-eat-dog world — he needed to have that part. He needed to have that tough skin,” Malloe said. Vea showed his potential in spurts last season. He had 6.5 tackles for loss and 5.0 sacks. Pretty good, right? The Huskies expect more in 2017, and Vea does too. He expects something really good. “I definitely do,” he said.